The common conception of “virtual reality” is a simple one: don futuristic goggles and journey to simulated yet hyperrealistic worlds. But while such virtual reality has been a staple of sci-fi books and films, it has not been easy to pull off in actual reality. Serious attempts have been made since at least the 1990s, when VR stations popped up in movie theaters and video game arcades. Those efforts went nowhere, as a Kill Screen article details. Now, though, a VR revolution appears to be underway for real – with the iPhone and other smartphones at the heart of the movement. Imagine you are using your iPhone to watch a video of a helicopter flight over Manhattan. Instead of gripping your iPhone, however, you’ve placed it into a goggles-style mount that looks like a jumbo-sized View-Master. The video itself is unusual, with two slightly different scenes, one for each eye. With the iPhone in its mount placed in front of your eyes, though, the two images blend into a single stereoscopic view that mimics the physical world. This is 360-degree video. You can look right and left, up or down, or all around. As you turn your head, your view shifts just as if you were there – and you might just feel vertigo as you float past 1 World Trade Center. That, in a nutshell, is virtual reality – and it has lately been all the rage in the computer and smartphone universes. It’s a tech trend that appears to be taking hold, unlike fizzled technology fads like 3D TVs. The last two years have seen a steady succession of VR hardware products, ranging from souped-up VR goggles for use with computers and game consoles to simpler, cheaper gadgetry meant to work with smartphones. VR software and content has exploded too, with numerous hyperrealistic games for PC- and console-connected VR gear and an abundance of VR apps for iOS and Android. Video portals such as YouTube and Facebook have lately added a wealth of VR content, much of it viewable with VR goggles. It’s a tricky time for Apple as competitors like Google, Facebook and Samsung push aggressively into VR. Apple has stayed silent on the subject, apart from one statement by CEO Tim Cook, who responded to a recent analyst question about VR by saying “No, I don’t think it’s a niche. It’s really cool and has some interesting applications.” Behind the scenes, the company is surely investing R&D resources to keep abreast of its technology rivals. If and when it will jump in is anybody’s guess. Apple a VR Trendsetter? — Despite this outward indifference, Apple is already, in a sense, a VR pioneer. Longtime Apple aficionados may recall a QuickTime format called QuickTime VR that provided a rudimentary sort of virtual reality using still images (see “QuickTime VR is Actually Real,” 17 July 1995). QuickTime VR content creators used specialized camera setups to capture images in all directions and then stitch these photographs together on a Mac to create spherical or cylindrical environments. The result, from the user’s perspective, was a virtual tour of a building’s interior or an outdoor landscape that you could view on a computer screen in multiple directions — left and right and, in some cases, up and down – using mouse swipes for navigation. Apple long ago stopped talking about QuickTime VR, which is now seemingly defunct, but its approach lives on in other photo tools that allow for the creation of similar virtual tours. Google makes it possible for amateurs and pros alike to wield the Street View app for shooting “photo spheres” that can be uploaded for public 360-degree viewing on Google Maps, for instance. Notably, the photo-sphere technology was used not long ago to capture crowds of grieving Prince fans at a couple of Twin Cities locations after the singer’s demise. 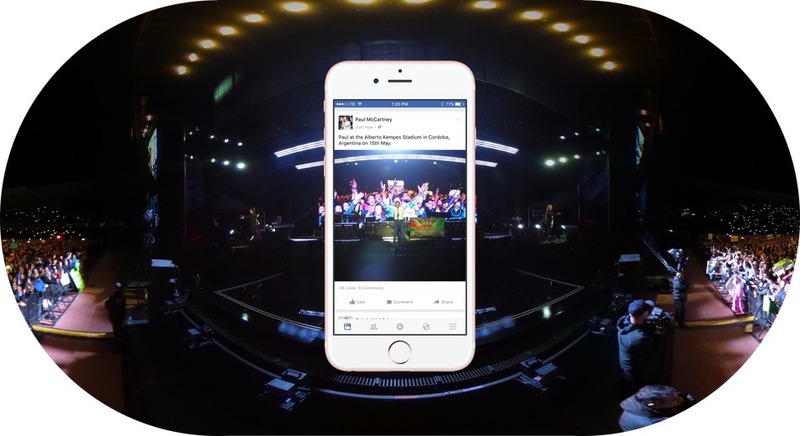 Facebook recently unveiled the similar 360 Photos. Users can upload photographic panoramas, such as those snapped with the iPhone’s Camera app or Google’s Street View app, to be transformed into 360-degree environments. VR for iPhone Users — For Apple users wanting to experiment with VR, the iPhone makes it easy, though this approach is far from cutting-edge as VR tech goes. First, you need a face mount for your iPhone. 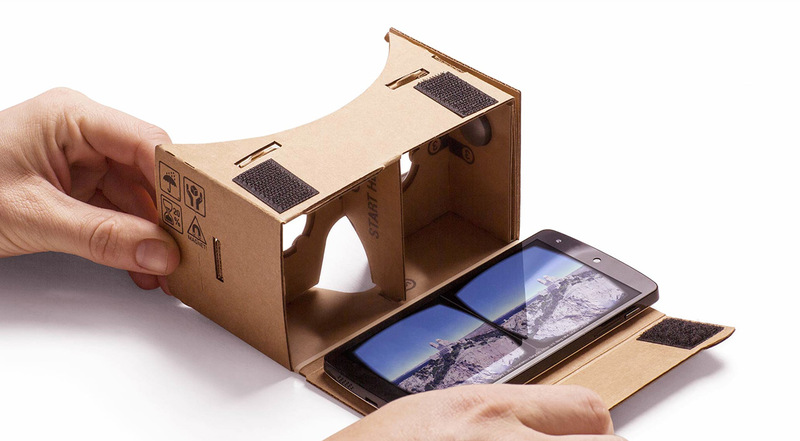 In 2014, Google created “Cardboard,” a specification for phone holders made of inexpensive materials like cardboard, foam, and plastic. Dozens of Cardboard variations are now available for purchase. 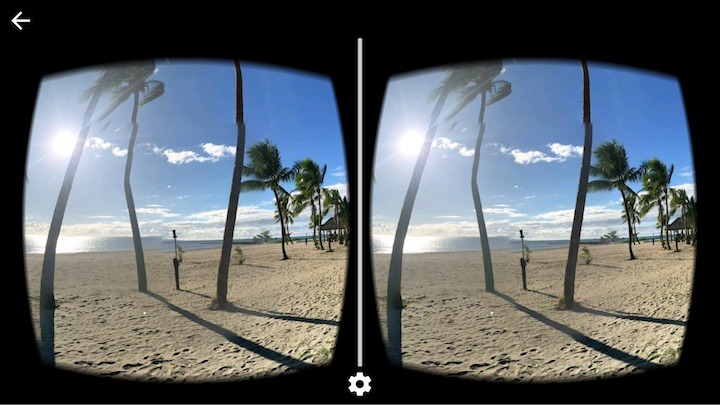 They vary widely in appearance, but none cost a fortune, and all serve exactly the same role in transforming a smartphone into a virtual reality viewer. I’ve experimented with a handful of Cardboard variants, including the entry-level $15 Google Cardboard, a fold-out cardboard variation with bits of Velcro to hold everything in place, and the Powis ViewR, a $30 apparatus with better lenses along with foam cushioning for the phone. Non-Cardboard variations are available, too. 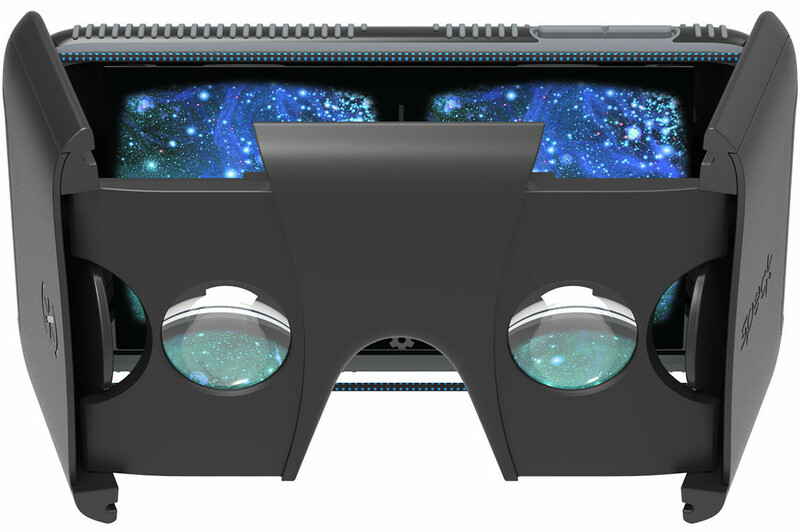 Speck has released Pocket-VR goggles that are meant to be used with an iPhone 6 or iPhone 6s, but require a user to have a matching Speck case. 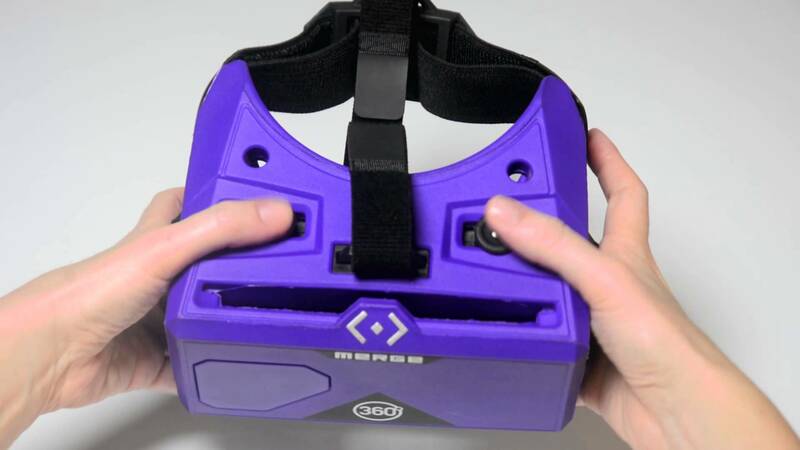 Plus, a company called Merge makes Merge VR out of foam with a more flexible design made to accommodate virtually any smartphone model from the past two years. Firing up VR Apps — Once you’ve purchased your VR mount and slipped your iPhone into it, it’s time to experiment with VR apps. These are legion and – fair warning – there’s a lot of garbage out there. Many VR-based games are crude constructs that seemingly exist just to promote non-VR iOS games. Even apps that are good-faith attempts to provide VR experiences are often abysmally designed with weak content and coarse image quality. 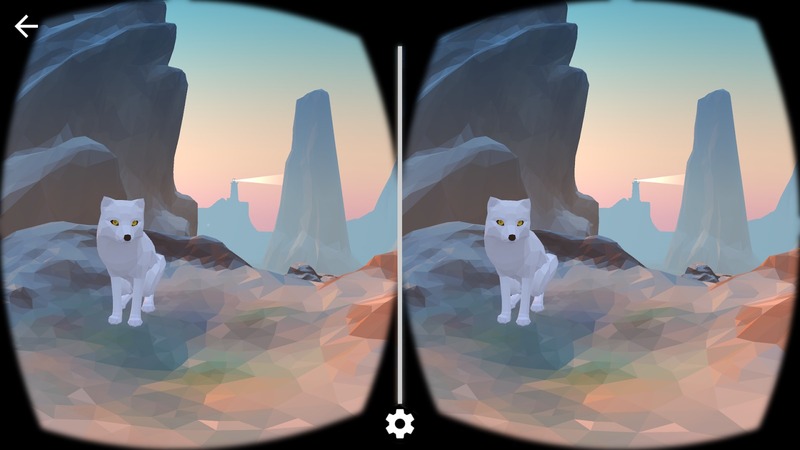 Cardboard: Google’s VR-demo app is a good place to start, with a set of attractive computer-animated sequences that let you interact with seagulls and wolves, plant seeds that grow into flowers, and gape at a breaching whale and a pulsating aurora. Street View: There’s a VR component to this popular Google service, which lets you view and navigate urban streets around the world. Fire up the Street View app on an iPhone and pull up an address to see that location in all of its photographic glory. Then, tap the goggles icon on the lower right, and put the phone in your Cardboard. Presto: you see that location in virtual reality. 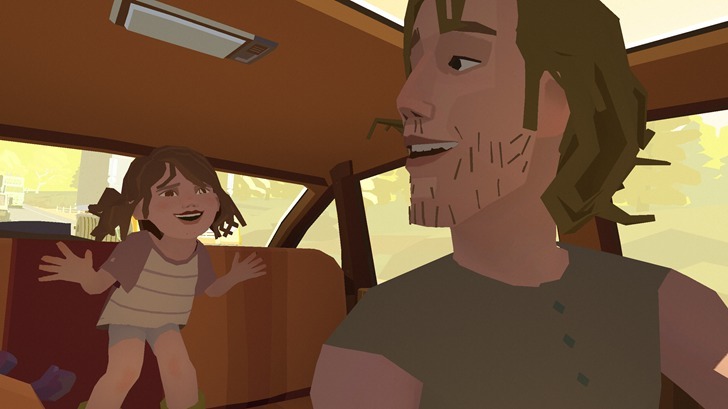 Within: Visual journalism and other varieties of visual storytelling are the most compelling VR use at the moment, and a number of apps serve as showcases for such content. One such app, Within (formerly called Vrse), provides a library of VR stories from a variety of sources, like the New York Times. 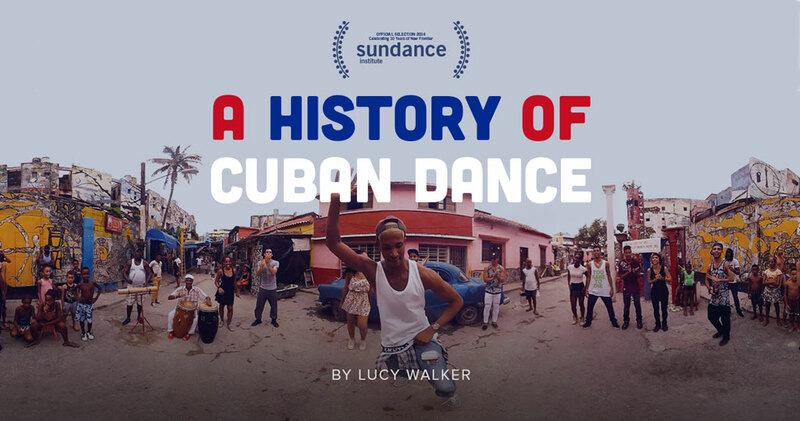 My favorite video is “A History of Cuban Dance,” which make you feel like you are on the island. On a related note, see a recent Medium post by Chris Milk, founder of Within, who takes a deep dive into the subject of VR, how he believes it’s far more than a fad, and why he decided to change the company’s name. NYT VR: If Within whets your appetite for VR from the Gray Lady, this app provides more, including a tour of Pluto and a climb to the top of 1 World Trade Center (cue vertigo). 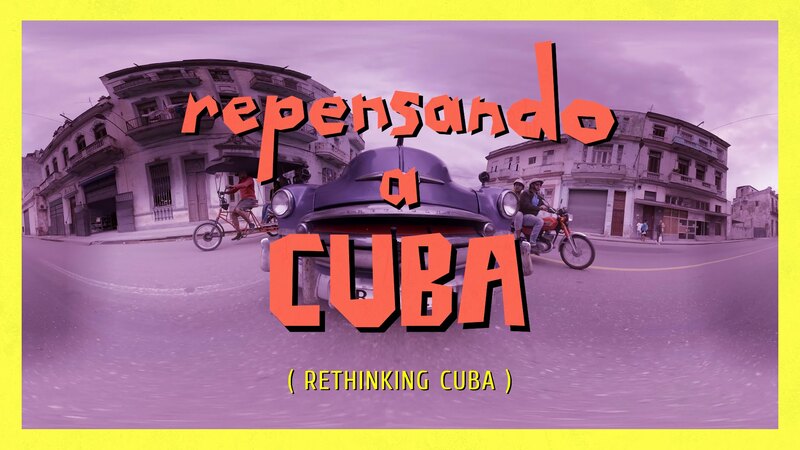 Ryot Another VR-journalism smorgasbord, Ryot includes a separate visit to Cuba. Alas, I found that its video quality is sometimes subpar. Jaunt: Still more storytelling, Jaunt offers an assortment of VR videos focused on journalism as well as sports and music events. 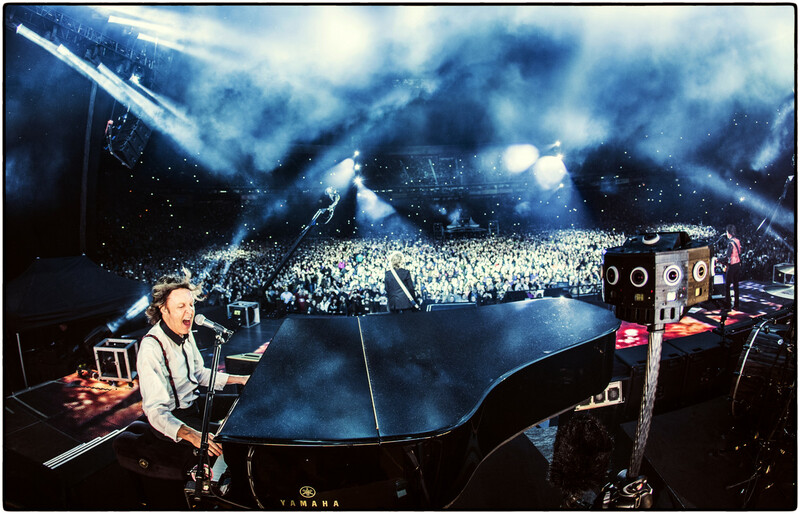 If you have fantasized about being on-stage with Paul McCartney as he belts out “Live and Let Die,” this is your chance. Again, video quality is iffy at times. Sisters: Most VR-based video games for smartphones are lousy, as I mentioned, but there are exceptions. Sisters is a sort of ghost story set in a sitting room with a creepy backstory and a malevolent presence. You’ll have to keep looking around – regretfully at times – as the story unfolds. 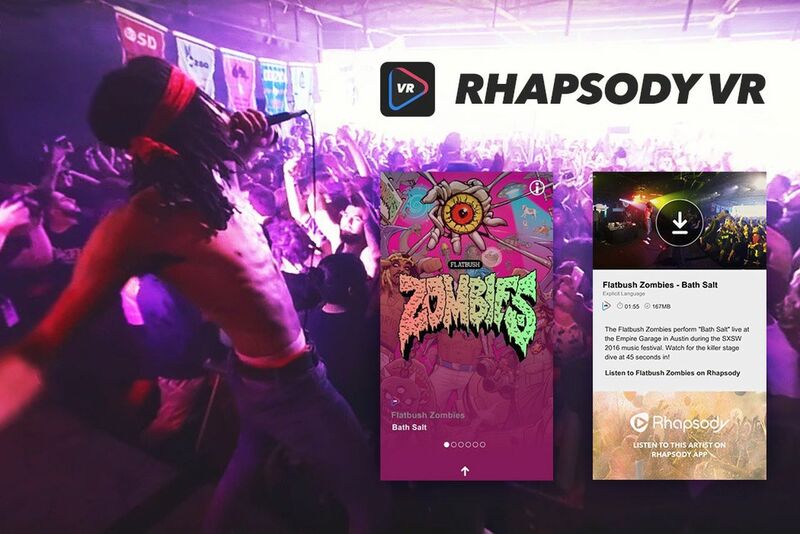 Rhapsody VR: The Rhapsody music-streaming service has entered the VR world with the Rhapsody VR app that plays virtual-reality concert recordings. Most are from the South by Southwest music festival, and one is a Prince tribute recorded outside a Minneapolis music venue after the singer died. VR Video Streaming — Beyond the limited world of apps, there are thousands of VR videos that you can stream just like any other video, though with enhancements. As you watch a VR video, you can pan around with your mouse on a computer or with a finger on a smartphone screen to see in all directions. Similarly, when watching VR on a smartphone, you can swing the device around while held in your hands to change the vantage point within the 360-degree environment. 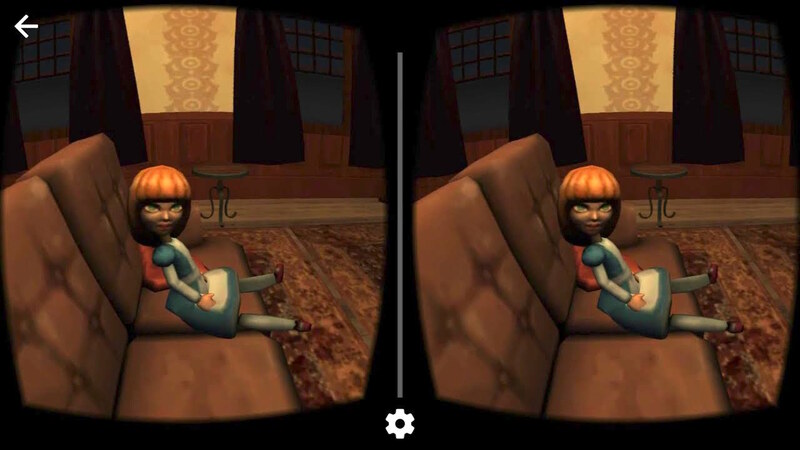 Streaming VR video shines, however, when viewed with VR goggles, such as the Cardboard variants. In this regard, it behaves no differently from Cardboard-compatible content in the aforementioned VR apps. In fact, a lot of the content found in those apps, like the “Pearl” animated short, also is available as streaming video. There’s a ton of VR video available for streaming, though. A great deal of this is on YouTube, which is arguably the preeminent venue for VR streaming. Unfortunately, as with VR apps, there is a lot of VR crud. When watching 360-degree YouTube on your iPhone, be sure to do so with the YouTube app, and not using YouTube’s site in Safari or Chrome. 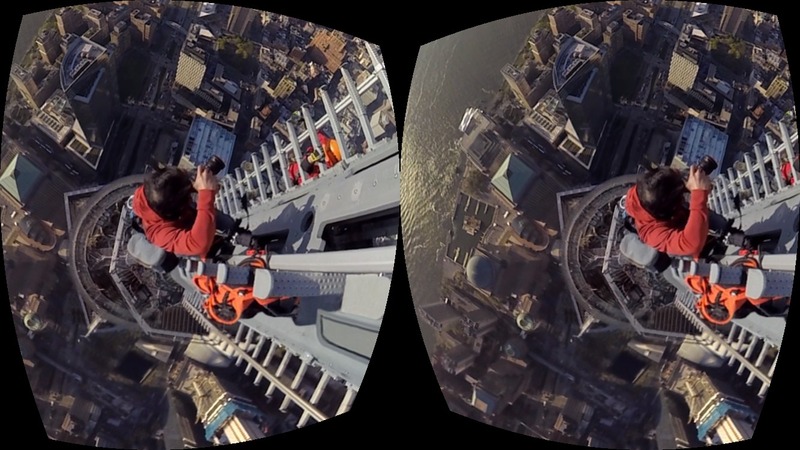 A good place to start is Google’s own 360° Videos channel, with scads of VR sequences. These are of wildly variable quality, though. Facebook is another high-profile source of 360-degree videos, but strangely, the VR sequences on its site are currently incompatible with phone-powered goggles, and can be interacted with only by panning with your fingertip or swinging a phone around while in your hands to see in every direction. For now, only Facebook’s 360 Photos support goggles. Creating VR Content — Most Apple users are happy just to watch VR videos. But for those who want to plunge into VR content creation, the cost and complexity of such projects have dropped dramatically of late. Until recently, if you wanted to make a VR video, you needed multiple GoPro cameras shooting in unison while fitted into a special mount. The footage from the GoPros then had to be stitched together on powerful computers using specialized software. Such a setup could cost tens of thousands of dollars. While such pro gear is still required to create the highest quality video, options for frugal amateurs are beginning to emerge. 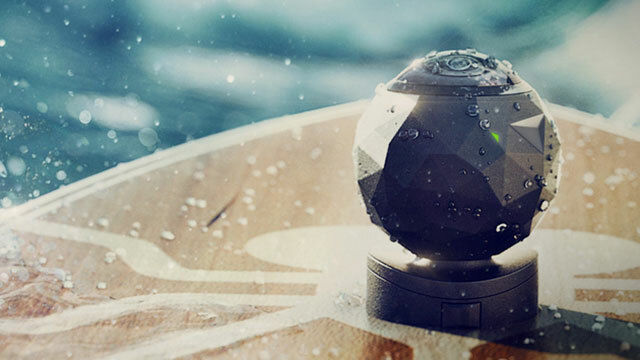 One good example is the 360fly brand of consumer VR cameras, each of which consists of a little ball with an integrated panoramic lens for 360-degree shoots. I’ve experimented with a $399.99 360fly HD model, which shoots mediocre video and provides primitive editing tools (including Mac and iOS apps). Still, it’s a total rush to shoot VR content with this camera, as I did during a St. Paul winter carnival parade and at a local blogging conference. 360fly provides all manner of mounts for attaching the camera securely to a tripod, ski helmet, bicycle handlebars, and even a surfboard. The video does not measure up to professional VR video, such as the piece a friend of mine shot at the carnival parade using his multi-GoPro rig, but it hints at what is yet to come for casual VR-content makers. Already, a $499.99 4K version of the 360fly is out, and the manufacturer’s software is improving. For those who aren’t satisfied with the simple video-editing apps offered, it is possible to pull off more sophisticated VR video editing in Final Cut Pro after just a bit of self-training – I got the hang of it after a day or two. 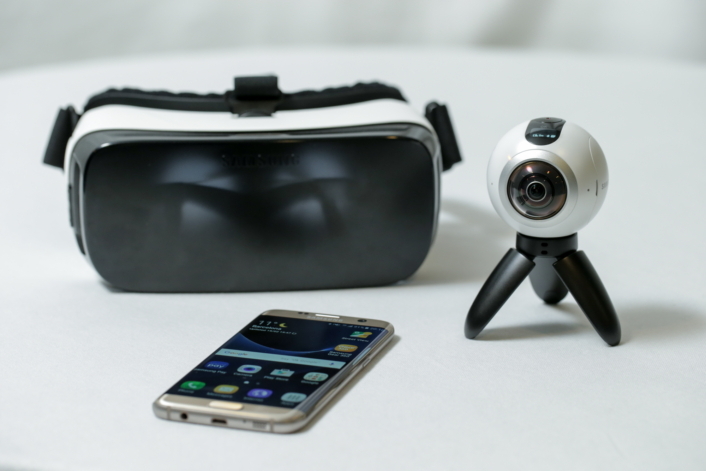 Entry-level VR cameras also can be used to shoot Google Photo Spheres and Facebook 360 Photos. 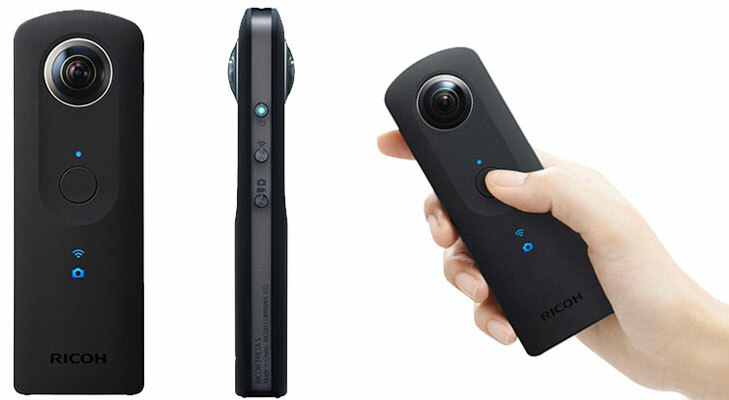 Ricoh’s $349 Theta S is a camera suitable for such Google and Facebook use, and the device includes Mac as well as Windows software. The 360fly camera should work properly for this as well, but I haven’t tested it yet (my 360fly HD review unit was on the fritz as I wrote this). Apple at a VR Disadvantage? — While a lot is going on with VR and Apple devices, those wanting Apple to be at the forefront of the wave have reason to fret. While Apple remains mostly silent on the subject, competitors like Samsung are aggressively pushing into this market. 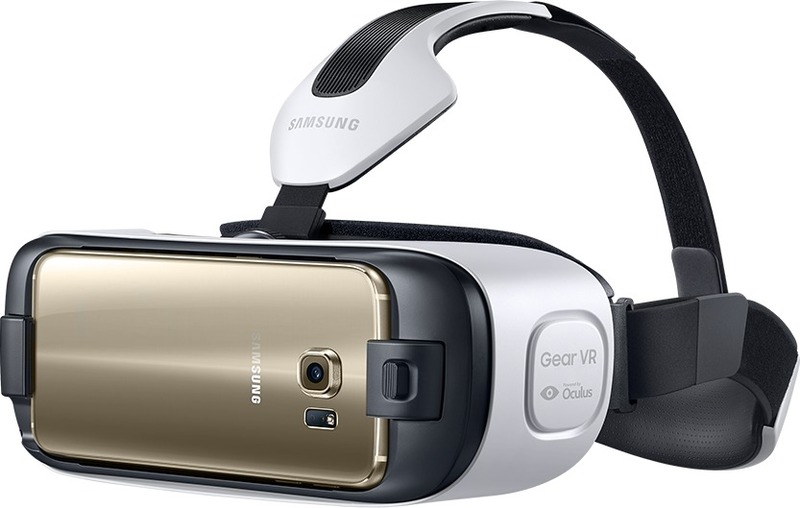 Samsung has been giving away its Gear VR goggles to those who purchase compatible handsets such as the Galaxy S7 and Galaxy S7 Edge. Samsung is about to release a $361 Gear 360 cam, as well, and that device apparently works only with Windows PCs. 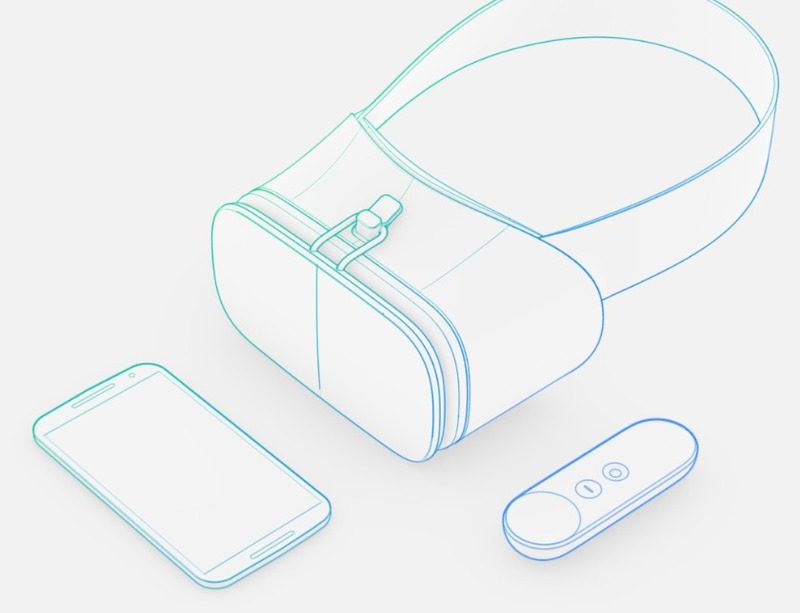 Google, meanwhile, is positioning its Android platform for a VR future with Daydream, a just-announced set of software enhancements and hardware specifications for a new generation of VR-friendly Android gizmos. Such devices will include phones, goggles, and handheld controllers, some of which Google plans to make itself. It is much the same in the desktop computer arena, with a new generation of souped-up VR goggles like the Oculus Rift and the HTC Vive that require physical tethering to powerful PCs to provide their VR experiences. Even the most powerful Macs are apparently not powerful enough. Microsoft and Sony have jumped into the VR arena, as well, each in their own way. Microsoft is perfecting a HoloLens headset that will combine VR with “augmented reality” (see “Microsoft’s New Hardware Challenges Apple’s,” 14 Oct 2015). Sony has taken a purer VR tack with a VR headset and related gear for use with the PlayStation 4 gaming console. Your Move, Apple? — All these high-profile developments in the VR space prompt the question: Where’s Apple? Apple enters new markets carefully, and the company is not the sort to jump on bandwagons recklessly, even though it might be feeling pressure to do so. Remember the cheap laptops known as “netbooks”? They were hot stuff at one time, and many an expert said Apple was foolish not to offer its own such laptop. Apple ignored that advice and, at a later date, released the iPad while publicly dismissing the netbook. Apple is surely following VR developments closely, and probably even fashioning prototype hardware and software in its top-secret labs. As with MP3 players back in the day, the company is likely biding its time and permitting others to make the initial moves and mistakes before it shows its hand, which it eventually did with the iPod. And who knows? VR may be just a fad and prove experts wrong yet again. But signs point to VR sticking around, and if so, Apple will have to enter the market at some point. For now, though, there are plenty of independent Apple-friendly VR options to keep tech aficionados entertained. Hmmm... I think what killed the netbook was the MacBook Air, a real laptop in a small size. The iPad no doubt put the last nails in the coffin.